While not fully satisfied, aid groups said it was about time when the European Parliament on Wednesday finally agreed on the 2014-2020 budget. 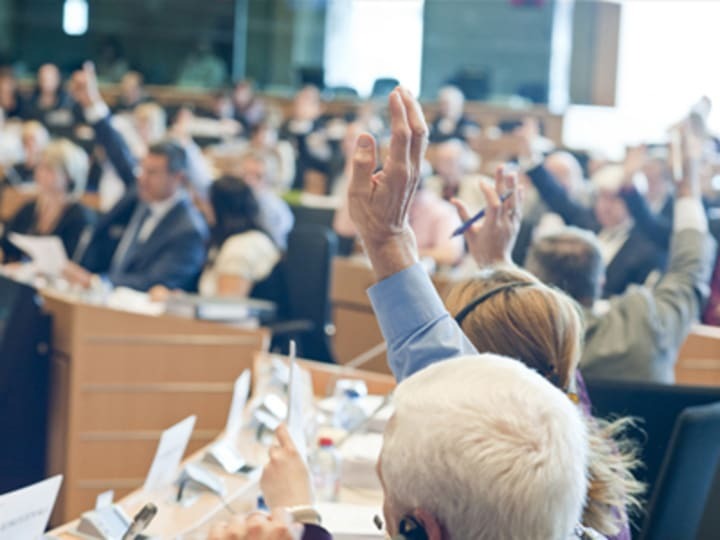 After much political wrangling among EU institutions over measures in the next Multi-annual Financial Framework, a political consensus was reached to accept the compromise laid out last week by EU leaders. A total of 474 MEPs voted in favor of the budget proposal, 193 voted against and 42 abstained. The decision had been expected by many in the aid community, with a CONCORD official predicting the result to Devex as early as June 28. “In a tough political climate and in the context of an overall reduction to the EU budget, Europe’s leaders have done the right thing by protecting development aid from cuts,” ONE Brussels Director Eloise Todd said in a statement. But not all of them are fully happy with the deal. “While reaching an overall agreement without further delay was necessary, it’s regrettable that the proposed budget available to support EU external action, including development and humanitarian aid, has been cut dramatically … freezing aid at current levels cannot be seen as a success. The EU should have been more ambitious than this, especially if it is to meet the 0.7% Official Development Assistance target which is repeatedly reaffirmed,” Plan EU acting head Alexandra Makaroff said in a statement. The deal sticks to the agreed amounts by European leaders in February, which includes an aid budget that remains at the current level. Many aid groups had hoped EU leaders would consider the European Commission’s proposal of an increased budget for development and humanitarian aid, including €21 billion for the bloc’s Development Cooperation Instrument, which supports development programs in South Africa and countries in Latin America, Asia, Central Asia and the Gulf region. The deal still needs a final vote in Parliament in September, although it is widely expected to pass. Aid organizations are now more concerned about the bloc’s aid priorities. Todd argues it is “essential that the EU focuses investment in areas that will have the biggest impact on ending extreme poverty” such as agriculture and health programs. Makaroff agrees, adding basic education to the equation. “Health and basic education are proven to have a multiplier effect in efforts to reduce poverty and promote long term, sustainable and inclusive growth, which is at the heart of the EU’s Agenda for Change … The Parliament has long called for 20% of the Development Cooperation Instrument and European Development Fund to be earmarked for these key social sectors, and the European Commission and EU member states should reflect this in the Delegated acts and breakdown of these instruments,” she said.